It's OK to queue up for large events, but would you do it for smaller ones? Let's make small events booking simple! Booking online is often only available for large events, let's apply it to all events whatever their size and location. Event organisers register their event for anyone to book online. Users enter their card details which is only charged after the event unless they cancel 30 minutes before. The waiting list is dynamic is refreshed in real time. 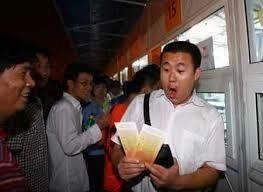 30 minutes before the show, the organiser downloads the list of paid guests. No more tickets are available online and a request for payments is sent to the bank. People can buy the remaining seats by cash directly with the organiser. Event organisers often face the problem of pre-booking and look for answers online. They should be able to find the project website easily (AdWords needed here) and give it a try simply (just enter the event name to create a booking page). A percentage of the transaction is taken for service, event advertising and event ratings are charged additionally. First target is that all local events should be promoted, paid for and rated by tourists looking for local culture.